Despite its demographic crisis, Japan isn’t interested in relaxing its immigration controls. Japan’s demographic crisis is serious, with one government estimate finding that by 2060, the country’s population could shrink from 127 million of its current size to 87 million, with 40 percent aged 65 or older. As The Diplomat has previously reported, relaxing immigration policies would seem one obvious solution to solving the problem, along with raising the fertility rate. While the latter is a particularly difficult task in any country, a more permissive immigration policy could offer Japan many advantages – among them, maintaining an internationally competitive workforce. For many reasons, though immigration policy in Japan remains a notoriously thorny issue. One underlying factor is Japan’s traditional homogeneity. Currently, foreigners account for only 2 percent of the country’s population; many are ethnic Koreans who have been residing in Japan since Korea was a Japanese colony. Prime Minister Shinzo Abe and his conservative Liberal Democratic Party have been traditionally cold on the idea of accepting more foreigners, citing concerns such as a higher crime rate and fewer job opportunities for Japanese. According to a poll conducted by the daily Yomiuri Shinbun in April last year, a majority of Japanese appear to agree. The survey found that of 1,512 recipients, 54 percent opposed bringing in more foreigners, while only 34 percent receptive to the idea. Abe does recognize the country’s demographics problem, but has remained reluctant to make radical changes to immigration policies, apart from giving more foreigners three-to-five year visas for low-wage jobs. For years, those working in Japan’s nursing sector, namely from the Philippines or Indonesia, have been allowed in through a legal loophole by being labeled as “trainees.” Abe’s approach might help Japan’s nursing sector, for example, but is still a short-term fix. On a TV program that aired last year, Abe denied that his government was considering increasing the number of foreign residents by 200,000 a year, a figure reported by some media outlets. “Many immigrants came to the U.S., and eventually became a part of the country. Japan will not adopt this,” he commented. While officials have slowly, reluctantly begun to discuss the topic of immigration, a revealing incident took place earlier this year, when conservative columnist Ayako Sono, a member of an education reform panel in 2013, wrote a “pro-apartheid” column for the conservative Sankei newspaper. Sono conceded that allowing more immigrants to work in Japan would be beneficial, especially in the nursing sector, considering Japan’s rapidly growing population of elderly. However, she continued: “All races can do business, research, and socialize with each other, but they should live separately.” Sono cited a whites-only apartment building in Johannesburg that black South Africans moved into after the apartheid ended, which apparently ran out of water, forcing the white residents to leave, since black people tended to live in larger family units. “Whites, Asians, and blacks should live separately,” she wrote. In many countries, such an article would spark outrage, but in Japan it was met with indifference. South Africa’s ambassador to Japan issued a letter of protest, which referred to apartheid as “a crime against humanity” and called the column “scandalous.” An article in the Sankei reporting this was mysteriously deleted just moments after being published, only to be re-posted two hours later. Other Japanese media outlets scarcely mentioned the story. The Sankei then issued a reply defending its right to run various opinions. If Sono’s column had any impact on Japan, most likely it was on its reputation overseas. 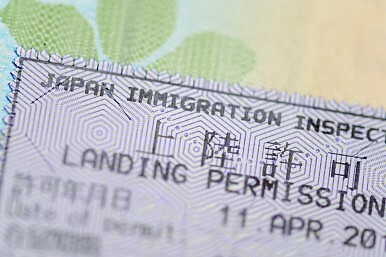 Other than the fear of higher crime and fewer jobs, Japan’s overall reluctance for a long-term immigration approach might have to do with its homogenous side, and what it means to be “Japanese.” As an example, when half Japanese and half African-American Ariana Miyamoto won the title Miss Japan, many were concerned with whether she was “Japanese enough” to represent Japan, although Miyamoto had grown up in Japan and identified as Japanese. On GirlsChannel, a popular website in Japan, many of the highest rated comments on the new Miss Japan argued for a more “Japanese” contestant. Japan might not be ready to open its doors, but with its combination of a low-birth rate and tight immigration policies, it may soon find itself with no option but to seriously consider a new approach.